Dirty and stained window treatments can quickly ruin the overall ambiance of any room within your household or place of work. So, make sure that you frequently clean and wash your curtains. If you don’t have the time or assets to do that, keep calm and give us a call. We are seasoned sanitation technicians and we have the know-how to provide you with the best curtain cleaning in Liverpool as a service. All the jobs for which we have been contacted are planned and execute by our crew of skilled and hard working cleaners. Our employees have the necessary knowledge to immaculately and diligently clean any type of window treatment regardless of size and fabrication material. To date we have never fail to meet the demands of our clients and we promise you that we will match your expectations as well. Please bear in mind that we always deliver our promises with a capital D.
We can either come and clean your curtains on place or take them down and wash them in our commercial laundry machines. Regardless of which option you choose, you will always receive top quality sanitation services. The cleaning machines that we use are the finest on the market and won’t damage the fabric and fibres of your window treatments. 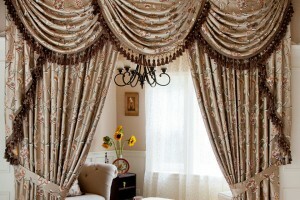 After all, it is not a fluke that we are reputed as the contractors that provide the best curtain cleaning services in Liverpool. The cleaning products that we use are 100% safe as they don’t contain hazardous ingredients. With their aid we will easily and efficiently remove all types of stains and spots from your window treatments. The best thing about the sanitation solutions that we use is that they are eco-friendly which means that they won’t contaminate the indoor environment of your home or place of work. We also provide contract Liverpool curtain cleaning services, which means that we can come on a periodic basis and take care of your window treatments for you. The sanitation period will be customised in accordance to your personal and private schedule and will certainly meet all your demand and needs. By choosing to take advantage of our contract cleaning option you will have the peace of mind that your curtains, blinds and drapes are always in their best state. We work with a well-drafted agenda which permits us to easily accept new projects, including last minute bookings. All this means that hiring us is a simple process that requires for you to get in touch with us and tell us when and where you want us to come. We also offer services you can’t find anywhere like, driveway cleaning. Know that we are the only sanitation contractors in Liverpool that conducts late night operations. The last thing that we want to share with you is that we are eager to meet you and lend you a hand with the maintenance of your window treatments.